No one even somewhat familiar with the life and work of Martin Luther would deny either that he wrote massive amounts of material over the course of his life or that he was extremely vitriolic and opinionated in some of these writings. For all of Luther’s famous reformation ideals and his seemingly deep pastoral intentions, for many scholars, Luther’s greatest legacy remains his darkest, namely the Lutheran heritage of Christian antinomianism and hatred for Jews that he bequeathed the German people. While few draw clear lines of connection between Luther and Hitler’s Third Reich, almost no serious scholar denies that some form of connection between the two most famous German men in Western history. Luther’s themes of Christian antinomianism and hatred for the Jewish people come across most clearly in On Secular Authority and On the Jews and Their Lies, respectively. Throughout both of these writings, Luther speaks with characteristic zest and rhetorical flair, demonstrating his opinionated stance on both the relationship between sacred and secular authorities as well as the Jewish people. Determining an overarching theme to both of these works remains difficult, though one finds an interesting contrast between the uses of scriptural references in these two works. Overall, Luther’s main argument in On Secular Authority and On the Jews and Their Lies appears to be the clear superiority of Christ and His Church to any competing claims of authority, either on the secular level or among another religious group such as the Jewish people. In On Sacred Authority, Luther outlines his famous “Doctrine of the Two Kingdoms”, where he argues for an understanding of two realms of authority and action in the cosmos: the realm of God (alternatively called the Kingdom of Christ) and the Kingdom of the World. For Luther, the Kingdom of God exists in the lives of Christians and the Church, and is to be understood primarily in terms of spiritual authority and commands of Christ. The Kingdom of the World exists for non-Christians, and consists of magistrates and secular authorities. It is these authorities that passages such as Romans 13 and 1 Peter address for the Christian. In this conception of the Two Kingdoms, Luther writes that the sword and secular authority have no prima facia claims to authority over Christians (mirroring his statement in Freedom of the Christian that Christians are perfectly free lords of all). He does, however, make it clear that within government and kingdoms, Christians were to obey secular authorities out of love for their neighbors (273). For Luther, the whole of the Christian life involved loving one’s neighbor. Thus, because the sword is of such great value for the entire world, Luther argues that Christian should submit themselves to the sword, pay taxes, honor authorities, preserve peace, punish sin, and do all that one can as a citizen and further the government out of love for one’s neighbor. 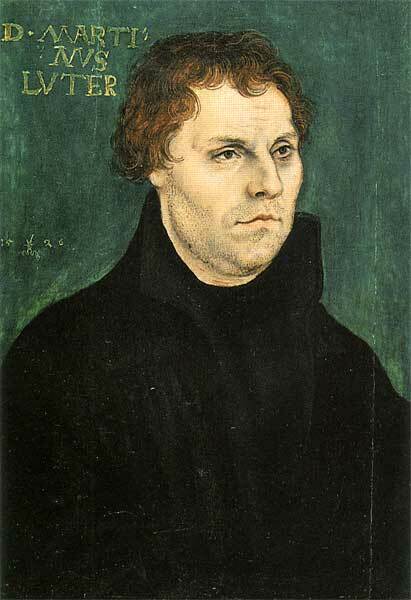 For Luther, the Christian “serves the State as he performs all other works of love, which he himself does not need.” (373) Building upon this understanding of Christian love as the impetus for Christian action, for Luther because a Christian has a duty to love those around him, he may bear the sword as an executioner, magistrate, soldier, or some other form of civil authority. Luther understands Christ’s commands to not kill or resist evil in terms of within the Kingdom of Christ, not the world (374). Thus, he writes that if a Christian sees a vocational need that profits the whole world, such as a civil authority or executioner, Luther believes that it is the duty of every Christian, out of love for neighbor, to “serve and further the sword by whatever means you can…” (374). Civil authorities are not without their checks however. Luther writes that though there likely are limits within the realm of civil authority, he has no time (or expertise) on law and government, and that too much has been written already (393). He does however make clear that the division between the two kingdoms is a strong one, dividing even people from each other (382). Thus, he argues that man-made laws cannot be applied to the human soul (383) and that secular governments should allow humans to determine their own beliefs apart from the threat of the sword (385). For Luther, the civil authorities must maintain their control within their own realm—the world—and not attempt to gain control within the realm of Christ and His Church. 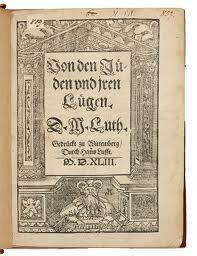 On the Jews and Their Lies has long been understood to be one of Luther’s most vitriolic and uncouth writings. Scholars have long debated the motivation and reasoning behind Luther’s attacks on the Jewish people, and while specifics have not widely been agreed upon, it is commonly recognized that Luther embodied a fairly widespread late medieval European prejudice against Judaism and Jews. In this writing, Luther uses strongly anti-Semetic language and claims, much to the chagrin of both his contemporary reforms as well as later admirers. Luther apparently penned this treatise as a response to a Jewish tract that was circulating and contained interpretive material that Luther found offensive. In his response, he accused the Jews of perverting scriptural passages used by Christians as testimony of their faith about Jesus and Mary (137), charging usury and taking advantage of poor Christians to gain wealth for themselves (266), calling Mary a whore and Jesus the son of a whore (267), and general lying, reviling, and blaspheming (268). Unfortunately Luther did not go about responding to many specifics on this tract, relying more than normal on rhetorical fire to make his point. Luther’s proposed solutions to the “lies” of Jews appear ghastly to those with modern sensibilities, as he proposes that Christians set fire to the synagogues of Jews and then burying what does not burn (268), razing and destroying their homes and housing them in barns like gypsies (269), taking their prayer books and Talmudic literature away from them (269), forbidding the rabbi’s to teach on pain of death (269), revoking the safe conduct and travel of Jews on highways (270), prohibiting them from banking and taking their ‘stolen’ gold, silver, and money away from them (270), and putting young Jews to work, like the rest of the German peoples (272). This stems from his argument that if the activities of the Jews are not stopped, the Christian will implicitly be affirming their “wanton lying, slandering, cursing, and defaming.” (275) While little action was taken by Luther’s contemporaries concerning these calls for action, anyone familiar with the horrors of the Holocaust may find far too many similar themes for comfort. Luther’s complexities and the infused meanings within On Secular Authority and On the Jews and Their Lies remain beyond the scope of this short work. What remains clear however, is that Luther’s conception of Christian love towards one’s neighbor, however strong and Christ-like he may have perceived it to be, did not stop him from conceiving of situations in which pragmatic concerns, such as civil authority, or cultural concerns, such as anti-Semitism, could be fit into his understanding of the Christian life. While Luther’s main argument in On Secular Authority and On the Jews and Their Lies appears to be the clear superiority of Christ and His Church to any competing claims of authority, either on the secular level or among another religious group such as the Jewish people, a twenty-first century view of his rhetorical style and writing finds Martin Luther to be lacking at times. Interesting and insightful. Thanks, Jake! Glad you enjoyed it Ben. I may have a longer series on this at some point, but I need to be sure I can’t get the paper published somewhere first.